Healthcare marketing to millennials | Language Solutions Inc. When designing healthcare marketing to Millennials, consider that 21 percent are Hispanic and speak a foreign language at home. Millennials, who account for 75.3 million people in the U.S., are more racially and ethnically diverse than any prior generation. Their racial and ethnic breakdown is 56 percent white, 21 percent Hispanic, 14 percent black, 6 percent Asian and 3 percent other. Millennials are more likely than prior generations to be bilingual with a strong English proficiency, and about a quarter of them speak a foreign language at home. The Hispanic Millennial Project analyzed Hispanics’ attitude toward health, wellness, nutrition, and exercise. This study revealed that Hispanic Millennials are at the forefront of the health tech “craze” across the nation, but that their cultural views on health still nuanced, while still rooted in traditions from older Hispanic generations. Hispanic millennials, unlike their parents, want to put themselves out there, stand out, get noticed. At the same time they want to keep close ties with their cultural heritage. Values such as family and language (Spanish-first), continue to be a common denominator inside Latino households. 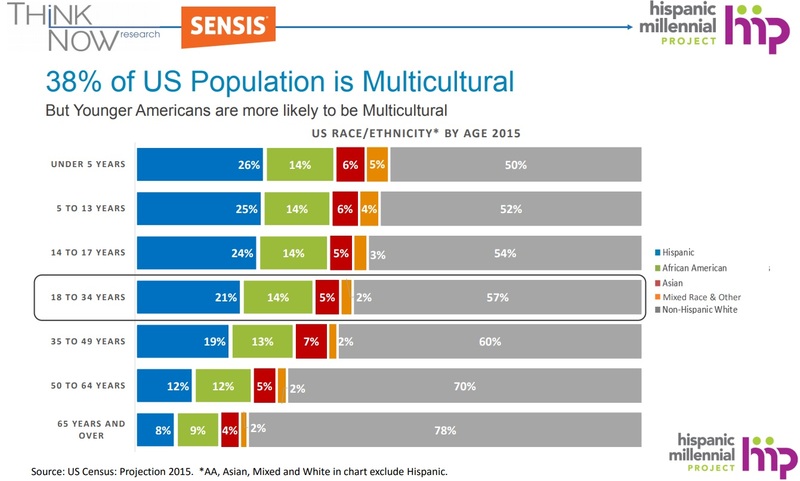 Brands that can truly understand biculturalism will be much more likely to succeed with Hispanic Millennials. 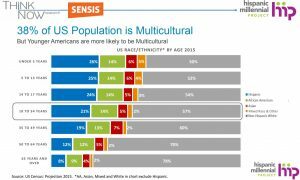 Hispanic Millennials respond very well to personalities who go back and forth across cultural lines, just like they do. Healthcare aimed to increase their market share with Hispanic consumers. 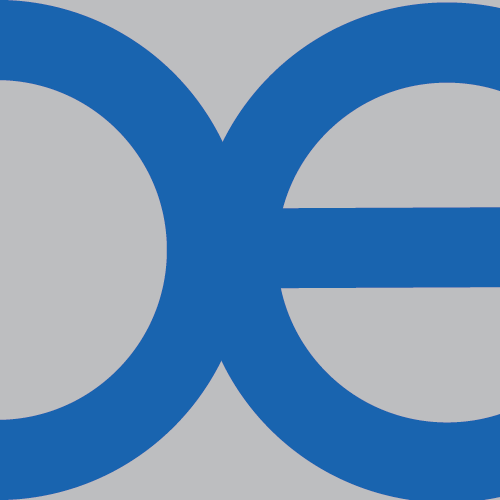 In 2017, United Healthcare upped their spend in Spanish-language TV to 18% of their total TV budget — a marked increased from 1% allocation just five years earlier. 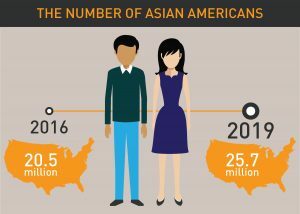 Asian American Millennials are the fastest growing and most affluent Millennial subgroup in the U.S. According to the CDC, as many as 1 in 4 people who have diabetes don’t know they have it. 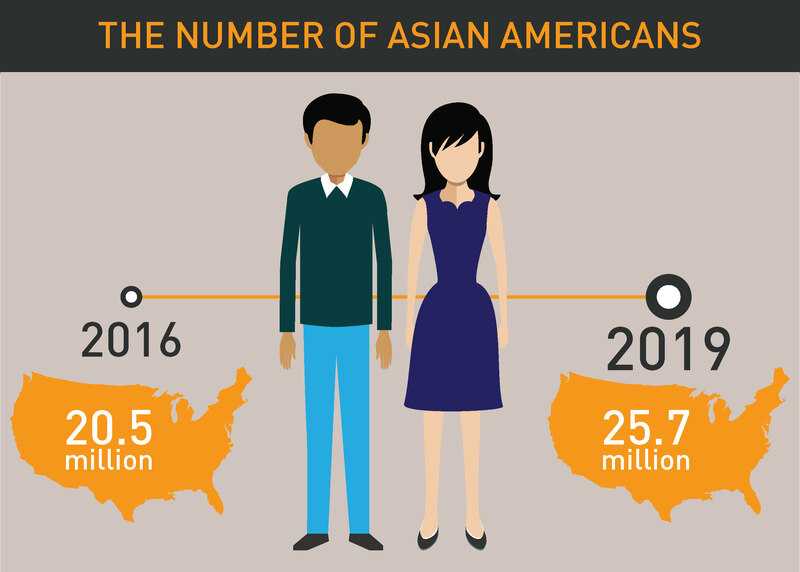 But for Asian Americans, that number is much higher—1 in 2, the highest of all ethnic/racial groups. In healthcare marketing to millennials in this group, it’s important to understand the cultural implications. There are differences in body composition, symptoms such as weight gain and patient perspectives. At the Asian American Diabetes Initiative (AADI) at The Joslin Diabetes Center, doctors and dietitians specialize in treating diabetes in Asian Americans, which means an emphasis on culturally sensitive care and nutrition therapy that acknowledges differences. Healthcare marketers should consider mobile and app development and localizing it in the language of the patient. Millennials expect easy and mobile access to health records and wellness data. Life sciences companies need to implement strategic digital marketing campaigns, especially via social media channels and mobile apps that will help engage Millennials and meet them where they digest information the most. We specialize in healthcare translations and understanding the target market for those communications. We work regularly in patient education for chronic diseases, app localization, website localization services and more. Give us a call to understand your needs and work with you on healthcare marketing to millennials.